In recent years the U.S. Government has taken an aggressive stance towards copyright infringement, both at home and abroad. However, that doesn’t mean that the Government always sticks to the rules, quite the contrary. In the MOST recent lawsuit it stands accused of willful copyright infringement on a ... massive scale. German company Bitmanagement. The Navy was enthusiastic about the geographical modeling capabilities of the software and in 2011 and 2012 it agreed to license its use for 38 computers. a 3D virtual reality application developed by the German company Bitmanagement. The Navy was enthusiastic about the geographical modeling capabilities of the software and in 2011 and 2012 it agreed to license its use for 38 computers. After testing the application for a while, both parties started negotiating the licensing of additional computers. However, before any deals were made, the software maker learned that the Navy had already installed it on over 100,000 computers. According to emails Bitmanagement executives received in 2013, the software had been rolled onto at least 558,466 computers on the Navy’s network, without their permission. 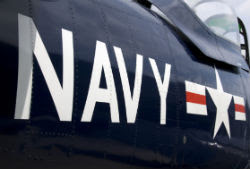 “Even as it negotiated with Bitmanagement over the proposed large-scale licensing of its product, the Navy was simultaneously copying and installing that software, without Bitmanagement’s advance knowledge or authorization, on a massive scale,” the complaint reads. In addition, the Navy allegedly disabled the software that is supposed to track on how many computers the software is being used. This violation of the terms of service prevents the software vendor from stopping the unauthorized copying. “To make matters worse, starting in 2014, the ‘Flexwrap’ software intended to track the Navy’s use and duplication of BS Contact Geo on Navy computers was disabled,” the complaint explains. This change made it impossible for Bitmanagement to know the scope of the deployment and use of BS Contact Geo on unlicensed machines or to limit that use,” the company adds. The software vendor says that the willful copyright infringement has caused injury to its business and rights. As a result, they’re now demanding compensation for the damage that was caused, to a total of nearly $600 million. Installing BS Contact Geo onto a single PC cost roughly $1067 at the time, so Bitmanagement claims that it is entitled to at least $596,308,103 in unpaid licensing fees. For comparison, that is more than the damages Kim Dotcom and Megaupload have caused copyright holders, according to the United States. And that case was billed by the FBI as one of the “largest criminal copyright cases” in history. Interestingly this is not the first time that the U.S. military has been “caught” pirating software. Years ago it was accused of operating unlicensed logistics software, a case the US eventually settled for $50 million. i just love when stuff like this happens don't you ?